After the defeat of the Japanese in World War II the Moslem population of the Dutch East Indies rejecteded the Dutch-proposed United States of Indonesia, and created the Republic of Indonesia. The Spice Islands or South Moluccas declared its independence from the Republic of Indonesia, and in 1950 President Sukarno sent troops to end the independence movement. 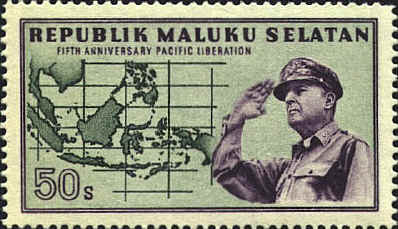 After thirteen years of guerrilla war the South Moluccans were defeated. The Dutch, who had supported their desire for independence, agreed to evacuate them to the Netherlands. Although this was intended only as a temporary measure they remain a marginal refugee population in the Netherlands.